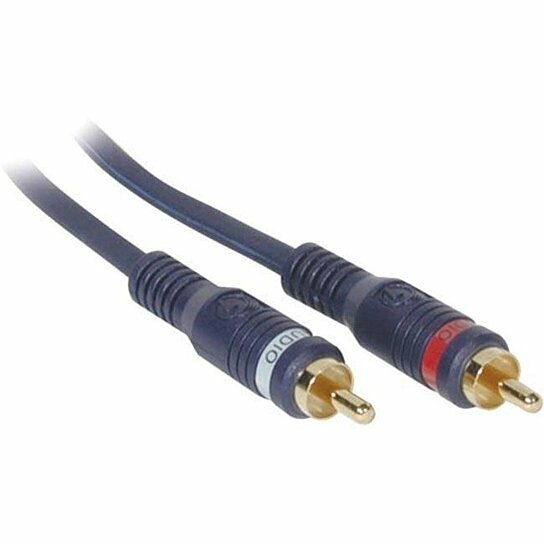 Velocity RCA Audio Cable offer excellent sound quality. Twisted pair oxygen-free copper wire and foamed PE dielectric are optimized for audio signal transmission. The low-loss 100% foil and spiral-wound oxygen-free copper shielding protects the delicate signals from electromagnetic interference (EMI) and radio frequency interference (RFI). Color-coded molded connectors and an ultra-flexible jacket allow for easy installation. 24K gold-plated heavy-duty contacts ensure a lifetime of performance.